Sudanese began voting on Monday in an election boycotted by the main opposition parties which looks set to extend President Omar Hassan al-Bashir’s more than 25 years in power. The presidential and parliamentary polls, held on April 13-15, are the first since Sudan split with the south in 2011, losing a third of its land and nearly all of its oil production. 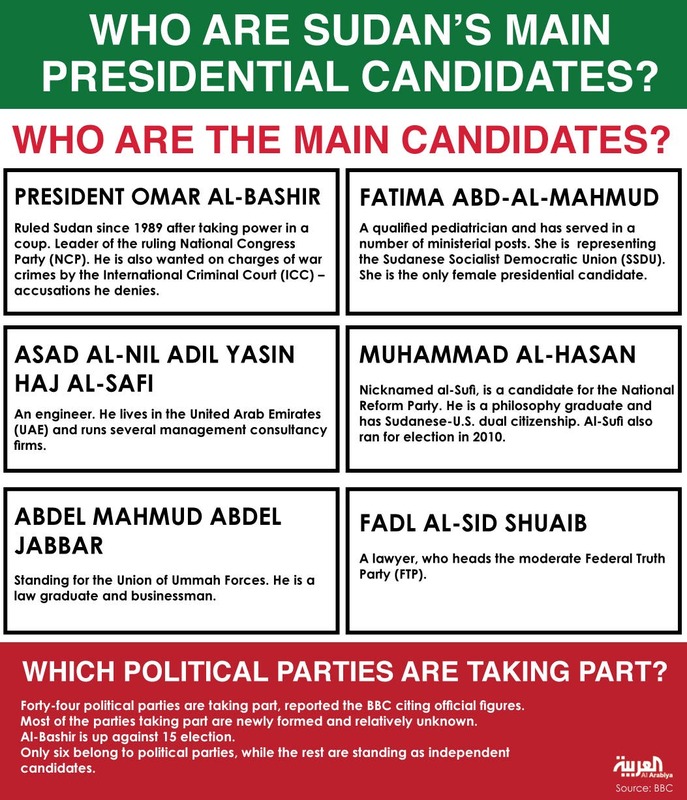 Infographic: Who are Sudan’s main presidential candidates? Voters, who tend to head to the polls later in the day, were thin on the ground in Khartoum early on Monday. Bashir voted in a school close to his residential compound. Surrounded by heavy security, he waved to supporters who shouted “God is greatest” as he cast his ballot. The boycotting parties say a clampdown on the opposition, media and civil society has created an impossible environment to run against Bashir, who has ruled the country since a 1989 Islamist and army-backed coup. The European Union, which observed the last, more widely contested elections in 2010, has criticized the political environment ahead of the polls. Bashir has campaigned on improving the economy, in which inflation and unemployment remain high. 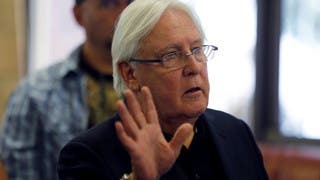 He has also promised to maintain stability, warning against a change in government while the region is embroiled in violence from Libya to Yemen. The boycott means voters are left to choose between Bashir’s National Congress Party (NCP) and a handful of relatively new groups. Government critics say these form a token opposition that does not differ from the NCP on core issues such as security and the economy. 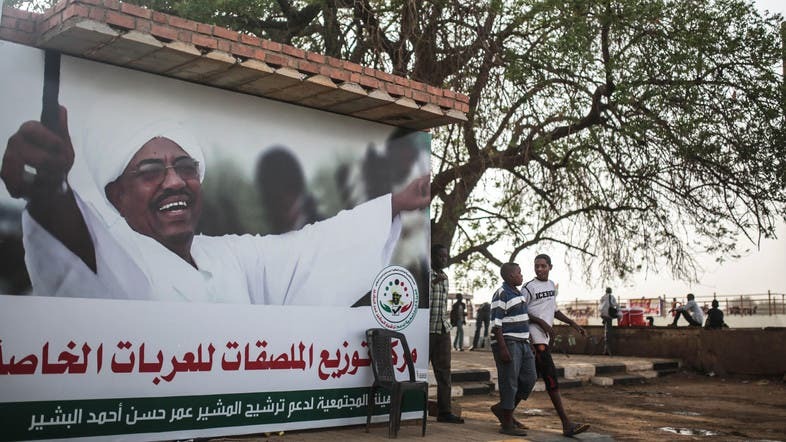 Late on Saturday in Omdurman city, across the Nile from the capital Khartoum, a person distributed fliers telling voters to “boycott the blood election”, and a similar campaign has played out over the Internet. On the ground, security forces are tackling insurgencies in Darfur and along the border with South Sudan. One of the largest rebel groups, the Sudan People’s Liberation Movement-North (SPLM-N) said last week it captured a truckload of ballots in the war-torn South Kordofan state as part of its campaign to prevent polling from taking place. The government declined to confirm or deny the incident, but has said there will be no voting in South Kordofan unless security improved. On Sunday, witnesses said anti-government protests broke out in the eastern city of Port Sudan on the Red Sea, as well as in camps for displaced people in Darfur. Polls opened at 8am (0500 GMT) on Monday and 13 million people are eligible to vote, according to the National Election Commission. Initial results are expected in the days after the polls shut.